Open from 5pm Wed- Fri; from 11am Sat; 12-8 Sun. Closed other days. Barrel store and second tap room for leading Bermondsey brewery. 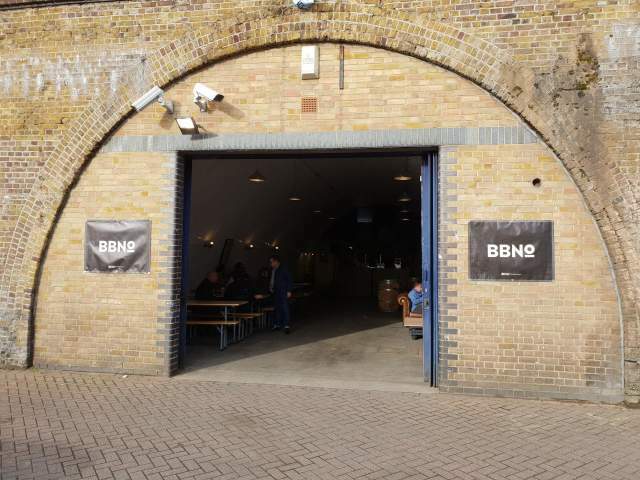 Brew By Numbers have opened a second tap room, which doubles as a barrel store, in Peckham Rye. It's located in a railway arch on Bellenden Road, at the end of Blenheim Grove, just a few minutes' walk from Brick Brewery tap room, making for a great double header. The 22 taps will normally offer some guest beers as well as around 14 BBNos beers. Card only.